Huge congratulations to Jayne Brady, a Director at Vickery, for her fantastic recent rowing achievement. 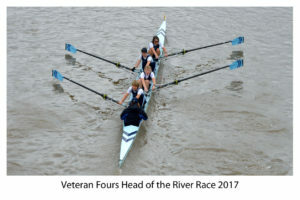 In November 2017, Jayne took part in the Veteran Fours Head event, a race from the University Stone at Mortlake to Ranelagh Sailing Club on Putney Embankment, with her coxed four crew. Jayne and her crew won first place in their category and came home with a winner’s medal. In July this year, Jayne will also be taking part in the Euro Masters Regatta in Munich. Weybridge Rowing Club will be holding a Community Regatta in early August. If any companies are interested in entering a crew, please contact Jayne at jaynebrady@vickery.co.uk for more information. No experience is required as training is provided. Minimum Energy Efficiency Standards (MEES) are coming in 2018…is your property ready?